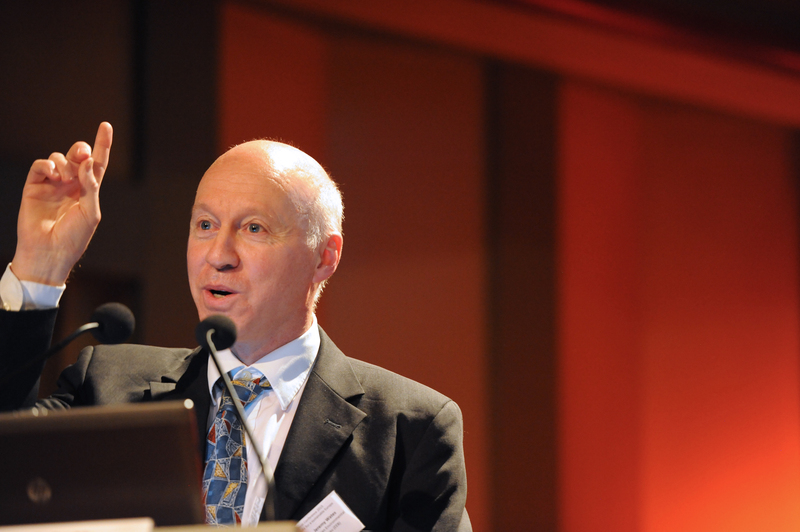 Jeremy Wates is Secretary General of the European Environmental Bureau. Repatriating competences to the member states is not going to help citizens enjoy a better environment, Jeremy Wates tells EURACTIV Slovakia. Wates spoke to EURACTIV.sk Senior Editor Pavol Szalai. Can you explain why you decided to evaluate the rotating presidencies on environment and energy policies, taking into account they last only six months? It may last only six months, but we find that the presidencies can have quite an influence on the direction Europe makes in that period. That still remains the case even after the Lisbon Treaty created the post of a permanent president of the European Council. As far as the Council configurations are concerned, where lot of the individual files are worked on, the presidency can play a very important role in putting things on the agenda and in determining how they are dealt with. Even though, as presidencies, they are sometimes not supposed to impose their own views, even a simple decision like deciding a particular debate be held in a public, not in a closed session, can make a difference on the outcome. We find very useful, first of all, to signal to them up front what either will or should be on their agenda, and at the end of the period, to make an assessment. Do you evaluate the presidencies based on their promises or based on your goals? It’s only based on our goals. It’s important to say that when making the evaluation, we make a distinction between the efforts of the presidency and the achievement on the file in question. And sometimes they are very different. You can take the look at the evaluation of the Dutch presidency in relation to the negotiations over the revision of the National Emission Ceilings (NEC) Directive aimed at tackling air pollution. Critical of the outcome, but praising the Netherlands for the efforts to reach an agreement. Speaking to Brussels journalists on a press trip to Bratislava, the Slovak premier, and his foreign minister, shed light on their ambitions for steering the Union for the next six months, and laying the groundwork for a rethink of the EU, following the shock of the UK referendum. Are you saying the Dutch are good diplomats because they worked well on the process? That, too. But they made a political priority to make progress on that file. They could have easily have said: We are going to leave this to the next presidency. But they didn’t. They pushed and pushed to the last minute. But it was very disappointing in terms of the outcome. We recognise it’s not only in the hands of the Presidency. In the case of the NEC Directive, we had several large member states playing a very negative role and the Netherlands playing a rather positive role. Do you find the Slovak programme ambitious enough? It’s not a matter of ambitious or not ambitious. It’s more about which direction it is going. Regarding the idea of taking away power from Brussels, the EU has actually brought enormous benefits to citizens through its work on environmental issues. In general, repatriating competences to the member states – and this is based on empirical experience – is not going help citizens enjoy a better environment. But it is true that up to now, European institutions have not taken an approach which is sufficiently citizen-centered. They have rather promoted a business-centered agenda. We are not at all against business per se, but we see the negative backwards business elements have tended to prevail over the progressive ones. 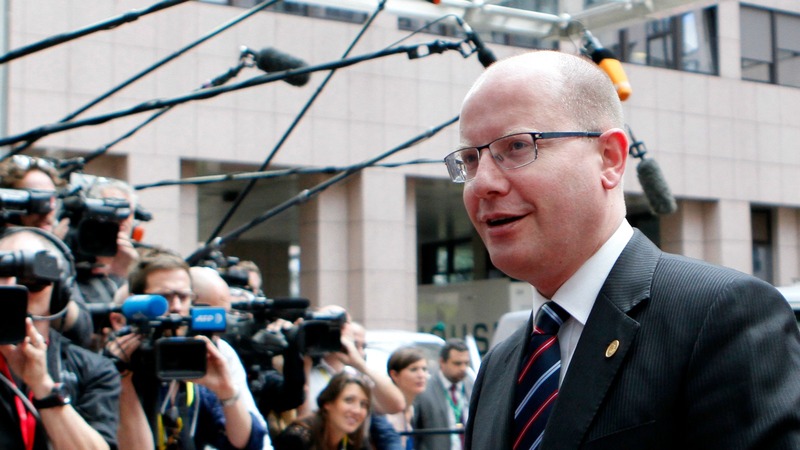 The Slovak presidency has tried to respond to public concerns around the issue of migration. But there is a whole other concern around the environment, where you can see very widespread public support on the EU taking action rather than EU not taking action. For example, the July Eurobarometer survey shows that 67% of EU citizens want action on the environment at an EU level. Therefore, it should be a priority for the Slovak presidency and indeed all EU institutions. You are basically saying that parallel goals of returning power to the capitals and doing more for the citizens can be – in some cases like the environment – contradictory. They can be contradictory. How is the EU going to deliver on the commitment from Paris to pursue – along with others – efforts to limit warming to 1.5 degrees celsius? It needs to come forward with a number of very concrete and very binding measures. It is going to be very difficult. Leaving it to the member states is completely contradictory. You need action on the EU level to meet its international commitments. You also need to have the Commission play a strong role. Specifically talking about the Paris Agreement, your Ten Green Tests for the Slovak Presidency say that the targets should be at least 60% greenhouse gas emission reductions, 40% energy savings and 45% for renewable energy by 2030. These are much higher than the 2030 framework agreed in the European Council (40% – 27% – 27%). Are they really necessary to fulfil EU’s commitments? Yes, they are. And it is completely illogical that the EU itself is not proposing to increase the targets it adopted in October 2014. Those targets were adopted before Paris. At that point the world was aiming to limit the temperature increase in this century to two degrees Celsius. Then we came back from Paris and now it’s “well below” two degrees and “pursue efforts” to limit warming to 1.5 degrees. That’s a different target. Therefore, the specific targets for Europe should also be different. The target of 40% emissions reduction is aiming at the lower end of the 2050 range of 80 – 95% reductions to which the EU committed itself several years ago. The 40% by 2030 is aiming towards 80% by 2050. The 2050 range was agreed in a time when the urgency of climate action was less clear to many people, even though it was already clear to most scientists. The 60% figure can incidentally be delivered by the other two figures. If you increase energy savings by 40% and renewables by 45% , you will basically come to 60% emissions reduction. 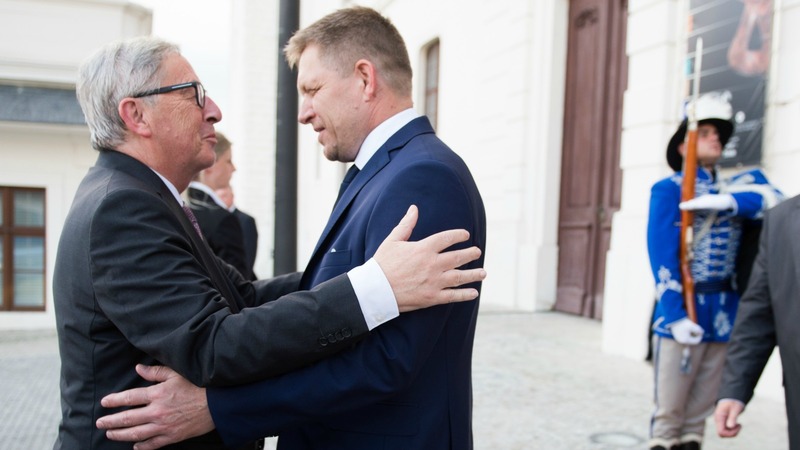 Commission President Jean-Claude Juncker sought to downplay the impression that tensions are building as a result of the push of member states, under the leadership of the Slovak presidency which started today (1 July), to repatriate powers at the expense of the Union’s institutions. So, you think it is entirely realistic and can be accepted even by those member states, which emphasise EU’s competitiveness, like the Visegrad countries. The word ‘realistic’ is an interesting one. Is it realistic to enter a world with an increase by three or even four degrees? If somebody tells me it is not realistic to stop irreversible and catastrophic climate change, I question their rationality. We have to uphold the voice of rationality and try to make the policy reflect the science. In the case of the 40% efficiency target, there are reputable research institutes such as the Fraunhofer Institute showing it is absolutely achievable in a cost-effective way. Central Europe is a big advocate of nuclear energy. What do you think about it as a source of energy contributing to cleaner environment and air, as they promote it? We don’t support the use of nuclear energy as part of a long-term solution to sustainable energy future. There would be different views even in our membership on how rapidly nuclear should be phased out, to what extent existing nuclear reactors can serve as a bridging technology. But it is a technology that is based on highly radioactive and toxic materials. There is no solution to long-term decommissioning and storage of radioactive waste. If we had no other options, it might be a different matter. But we do. What is the other option? Is it natural gas? We cannot jump to a big share of renewables in the energy mix overnight. Of course, you have some dirty energies which are less dirty than other dirty energies. Natural gas would be better than coal and so on. You say we cannot jump overnight. But look at what has happened to the renewable energy sector in Germany. The strongest economy in Europe did that by political decisions. The political leadership was able to incentivise renewables e.g. through feed-in tariffs and targets. There are smaller countries like Denmark and Portugal, which have been running only on renewables for several days. We should be backing the technologies of the future. Coal and other fossil fuels have to become the technologies of the past. If we wait until the last minute to do it, Europe will lose competitiveness to other parts of the world. But Germany is now replacing nuclear energy with coal. But they would be burning a lot more coal, if they haven’t incentivised their wind programme. The choice between nuclear and coal is not very pleasant. You are choosing between two negative technologies, where the negative aspects are quite difficult to compare. Both of them need to be phased out. It’s a different answer for each country how it should make the transition to 100% renewables. As the EU summit continues today (29 June) without UK Prime Minister David Cameron, the Visegrad group comprising the Czech Republic, Hungary, Poland and Slovakia, will call for an inside out change of the functioning of the EU and its institutions. European Environmental Bureau says that one of the priorities should be “setting of high prevention and recycling targets within the revision of EU waste legislation.” Why is it so important? By setting high prevention and recycling targets you are basically reducing the amount of waste going to landfill or incineration. And that is good for climate change mitigation, saving resources, job creation and reduced dependency on imports. It can be done in a relatively short amount of time. You need proper infrastructure for reuse and recycling, but not necessarily huge capacity investment. You can move from a very low municipal recycling rate to a very high one within a very short time. For example, in just a decade, Ljubljana increased its recycling rates from a very low level to above 60% today. Slovakia faces precisely this challenge. It recycles today only 6% of municipal waste, while the target for 2020 is 50%. That may be quite a challenge but not impossible. If it was possible in Slovenia, why not in Slovakia? It’s more about making a political decision, how we are going to organise our society in a way which will lead to considerable job creation and economic benefits. When you say it’s not a question of big infrastructure, are you also saying it’s not primarily a question of money? Political will is more important than money. The infrastructure can start relatively light. It’s first about putting in place rules on how people process their waste, for example with separate collection and reuse centres. By contrast, if you don’t reuse or recycle, waste ends up in incineration and landfills. Companies build big incineration plants and once they are built you need to feed them. You get locked in to incineration technology, and you have a lobby opposing reduction of the waste stream. And then you have less motivation to prevent waste generation. It becomes a vicious circle. What will Brexit’s impact be on the EU’s environment and energy policies in general, and on the Paris Agreement in particular? It all depends on how Europe’s leaders – from the 27 other member states, the Council, Parliament and Commission – react to the events as they unfold. We see an opportunity for them. While they, including the Slovak government, are saying, “We need a new approach, a new narrative,” I don’t hear them saying the new approach should be based on sustainability principles. Those issues may not be popular with some businesses. But they are popular with other businesses. The leaders should support the businesses of the future, not of the past. And crucially, they are popular with the public, because they present a vision of a Europe which cares about people’s rights.